These diamond shaped diamond studs are a new take on an old concept! 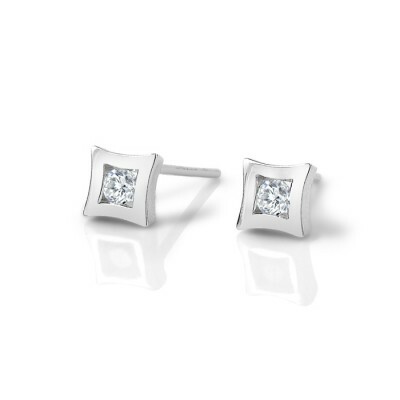 If you're looking for an interesting diamond stud, these look great! The earrings pictured here have 2.5 mm diamonds in them, for a total carat weight of 0.12. We also make them in larger sizes.